The Leadville, Colorado and Southern Railroad is another of Colorado's many tourist railroads operating over lines that once sought the riches the region had to offer, and just like the others operates through the spectacular Rocky Mountain Range, departing each trip from the historic mining town of Leadville at the former Colorado & Southern restored depot. The LC&S operates on trackage that was once part of the Colorado & Southern's vast narrow-gauge lines in the area and while it is the only tourist railroad not to offer steam locomotives powering its trains it does offer very reasonable prices for its trips (which is one reason folks continue to return). So, if you are in the area vacationing or visiting nearby Denver considering swinging by to see this railroad, which provides unparalleled views of the Rocky Mountains. 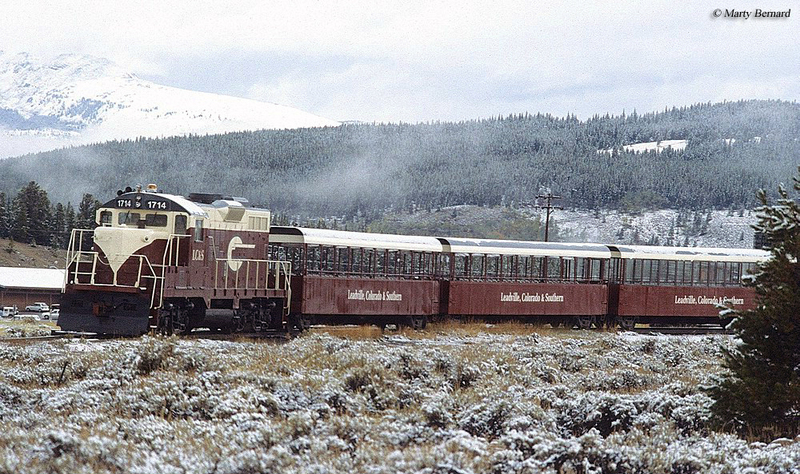 The Leadville, Colorado and Southern Railroad has its beginnings dating back to 1980 when the Burlington Northern, successor to C&S parent Chicago, Burlington & Quincy sold off its depot, branch line, and all local rolling stock around Leadville, which was purchased by interests that would go on to form the LC&S. The earliest history of C&S's silver mining branches dated back to the Colorado & Clear Creek Railroad chartered in 1865 (later renamed the Colorado Central Railway). At the time the region was becoming a major producer of silver (and to a lesser extent, gold) and the Union Pacific, which originally owned these mining branches, looked to exploit it. The Colorado Central later incorporated the Georgetown, Breckenridge & Leadville Railway to continue marching southwest in an attempt to reach additional mines and the towns they created. By 1898 the Colorado & Southern Railway was created to takeover bankrupt properties operated by Union Pacific, which included all of its mining branches. By this time the lines were operated primarily by two companies the Denver, South Park & Pacific Railway and the Denver, Leadville & Gunnison Railway (which the LC&S now operates). Unfortunately, the properties were no longer as profitable as they had once been due to the passage of the Sherman Act in 1890 that looked to regulate the silver mining industry (there was too much being produced). While the C&S worked to standard gauge much of these mining branches, by the 1940s most had been abandoned or sold. 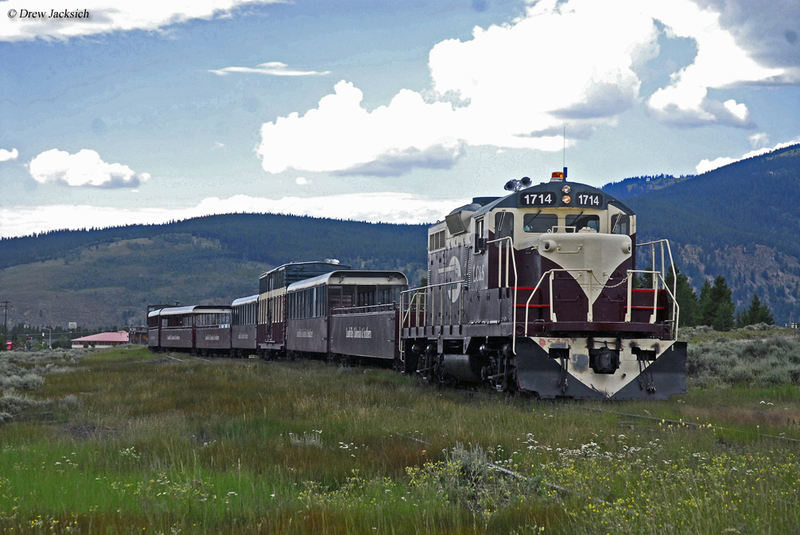 Today, when riding the Leadville, Colorado and Southern Railroad it operates on a route that rises over 1,000 feet from the Arkansas River Valley, travels through Freemont Pass and provides for views of Colorado's two largest mountain peaks, Mt. Massive and Mt. Elbert. Overall the line operates through the San Isabel National Forest and lasts for more than 2 hours covering about 21 miles round-trip. Aside from the Georgetown Loop Railroad, it is the last remaining section of the Colorado & Southern's mining branches still in operation. 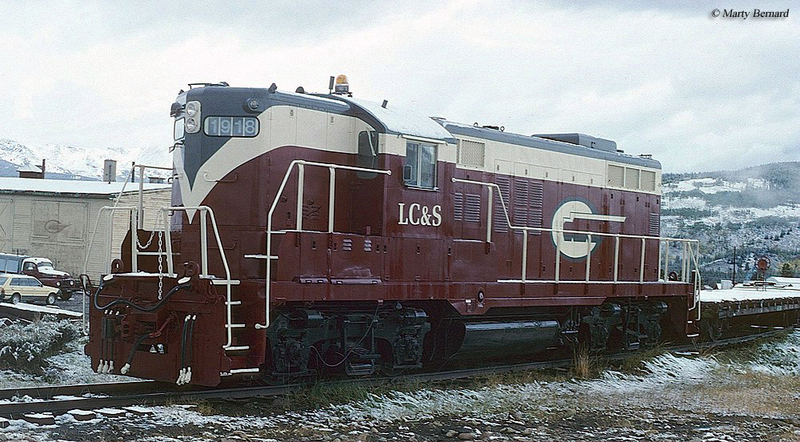 For power the LC&S uses a single Electro-Motive Division Geep diesel locomotive with trains departing the restored Leadville depot (a D&RGW freight depot also remains in the town). If the organization could ever resurrect or purchase a steam locomotive to run on the property they could likely draw in even more visitors. Despite this, however, it is still an excellent attraction and worth the visit. Also, if you the time and chance check out the other similar excursions in the region such as the Georgetown Loop, Durango & Silverton, and/or Cumbres & Toltec Scenic. Currently, the LC&S operates a schedule that runs between late May and early October. They also offer extras such as riding in the locomotive and caboose (for a small additional fee), as well as special events throughout the year including photo ops, wildflower trains, a rare night ride, and river rafting packages. If you are considering riding the train and/or would like more information about the Leadville, Colorado and Southern Railroad please click here to visit their website. There you can find everything that they currently offer as well as an operating schedule and pricing. The views are well worth the ride on this little tourist line! If you would like to read a brief history of the Colorado & Southern Railway please click here. Also, for more information about excursion trains like the Leadville, Colorado and Southern Railroad you might want to consider the book Tourist Trains Guidebook, which is put together by the editors of Kalmbach Publishing's Trains magazine.